The slides consist of images to do with XYZ. Below is a detailed description of each slide. Metastatic pancreatic cancer colonizes the liver. 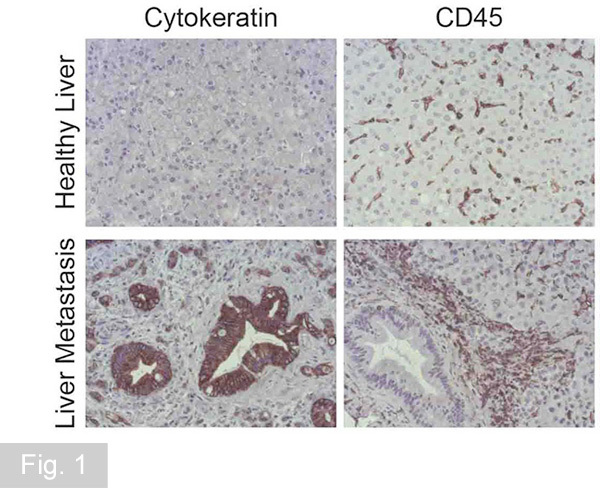 Patient liver biopsies are analysed by immunohistolgical staining technique for the presence of cancer cells (keratin+), which are surrounded by high numbers of infiltrating immune cell (CD45+). Not all cancer cells are able to form tumours under anchorage independent conditions, a key feature of metastatic cancer cells. We are using spheroid formation and colony formation assays to identify factors promoting such growth. 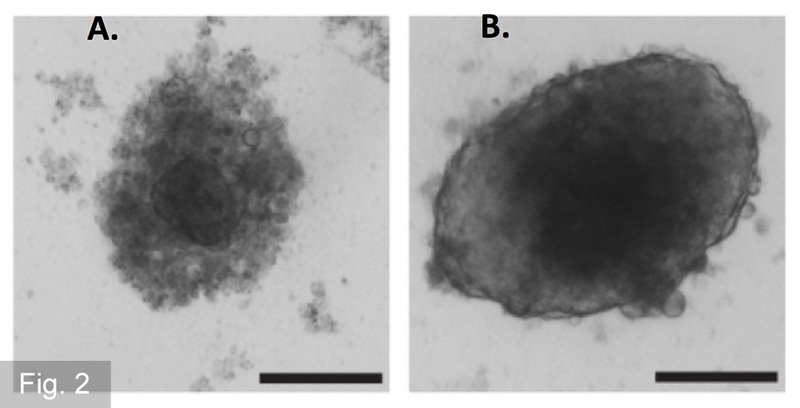 Cells in (A) lack the ability to form spheroids compared to cells shown in (B). 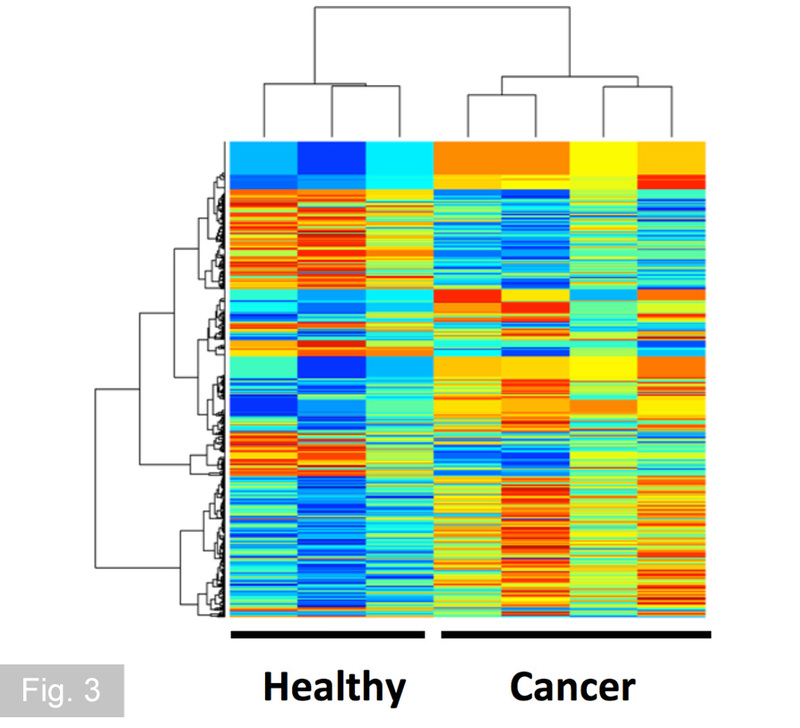 We are using whole transcriptome analysis to identify factors necessary for the tumour promoting functions of stromal cells. 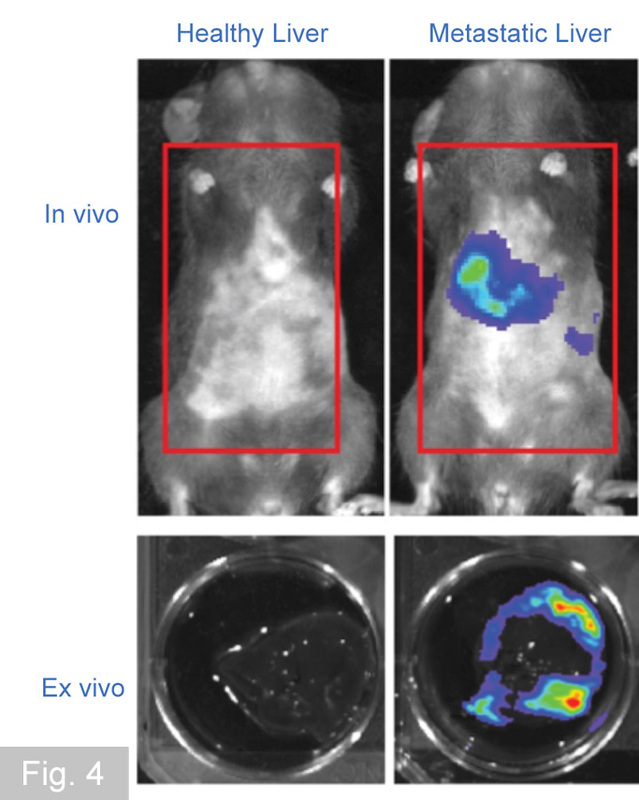 Pre-clinical models combined with novel in vivo imaging techniques are used to test novel therapeutic treatments to inhibit cancer progression and dissemination. These imaging techniques allow the tracking of cancer cells through the body in mouse models. Patient samples: establishment of clinical correlations, new hypothesis generated, in vitro and in vivo findings validated.